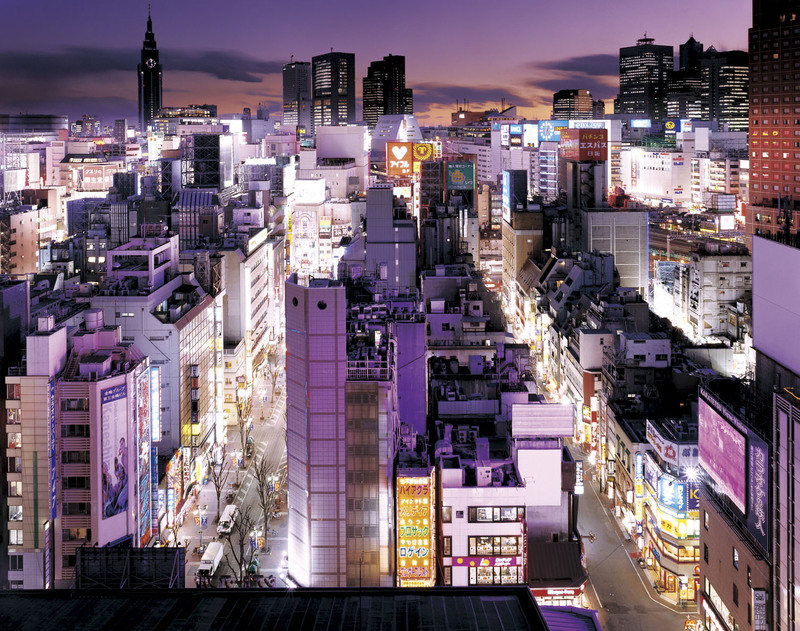 At the exhibition, around 30 chromogenic prints of downtown Tokyo, Shinjuku, etc., from 2002 to 2008 are shown in conjunction with book publication. Born in Tokyo, 1969. Graduated from the Tokyo College of Photography, 1992. Graduated from Waseda University, School of Letters, Arts and Sciences I, 1995. Staff photographer, Kyodo News 1995-2001. Freelance photographer since 2002. One-person exhibition: “Night Lights” Konica Plaza (Tokyo 1995), “Fire Escapes Tokyo” Gallery Le Deco (Tokyo 2004), “Twilight Zone” Photo Gallery International (Tokyo 2006). Group exhibition: “Tokyo East Perspective Photograph Exhibition: Bokutou Photographs” Asahi Art Festival 2006 (Tokyo), “Between Reality and Illusion” Marty Walker Gallery (Dallas, U.S.A. 2007). Public collection: Kiyosato Museum of Photographic Arts.